Ah, the promise of spring! Bright skies and warm, soft winds have swept away the dull, gray boredom of winter. Flower buds are erupting in exuberant colors. Trees are cloaking themselves in a blissful palette of greens. Melodious trills and twitters of birds fill the air. Earth seems reborn, fresh, fully alive, signaling all is well. But, is it? Yes, for us, but maybe not for the birds whose cheery-sounding songs are disguising a struggle. Birds are compelled to sing in the spring—the changing season tells them it’s time to mate—but, otherwise, all may not be well. Here’s why. 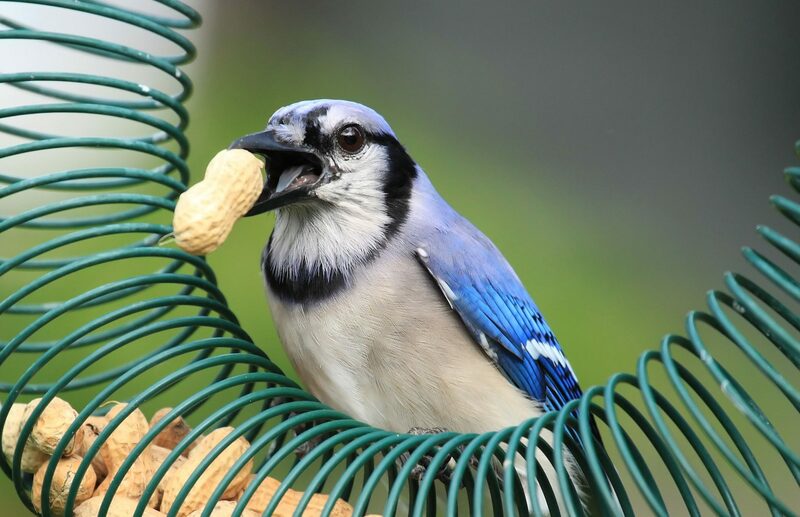 In summer and fall, when flowers, vegetables, herbs, shrubs, and trees are in full bloom, laden with seeds, and protein-rich insects are everywhere, birds have a veritable smorgasbord of high-energy, muscle-building foods spread before them. Their bellies are full and there’s food for their babies. All’s right with their world. Then fall and winter come. Insects die or hibernate, and plants go dormant. Seeds get buried under ice and snow or wash away in storms. Or hidden under leaf litter that makes them moldy and inedible. What remains is consumed by birds and numerous other wildlife through the winter. Competition for food gets stiffer as the season wears on. Summer’s trove of food shrinks more with each passing day. Birds have a high metabolic rate and must consume enough high-fat, high-calorie food during each day to maintain their body temperature through the coming bitter, sometimes sub-freezing, night. As the food supply drops, a bird’s search for seeds and dead insects can become an all-day enterprise, every single day, to keep itself alive until the next morning. Winter temps are harsh, especially at night, and some hungry birds don’t make it. By spring, last year’s food is nearly gone. The new season’s crops are at an early stage, and insects are still scarce. What’s a hungry bird to do? Struggle on through hardscrabble days until more food is available. Put up birdhouses of various sizes. They provide more roosting places in the winter (and in the spring, after sanitizing, they’re ready to be used for nesting). Surveys show that half the households in the United States feed wild birds. If you’re not one of them, it’s easy to join in, and it so happens that spring is a perfect time to get started. Feeding birds can be as simple as scattering some birdseed on the ground. It’s available at most large grocery stores, but check the label before buying. Many inexpensive mixed-seed packages they offer contain large quantities of worthless seeds most birds won’t eat, even when they’re famished. Your local feed-and-seed stores will have the most extensive variety of their preferred foods. You’ll also want to provide the right kind of seeds for the birds in your area. If you’re not sure, then offer them the two types eaten by most birds: black oil sunflower seeds (in or out of the shell) and white millet. Suet, too, is a favorite high-protein food of many species. This page has a list of seeds preferred by different kinds of birds. It’s good to use a bird feeder because it keeps food drier and more sanitary. The kind of feeder is important, with several things to consider. Some birds feed on the ground, others need a tubular feeder with small ports. The size of the perch matters, too. So read this page for guidance. If you’re interested in identifying the birds visiting your new feeders, get a useful field guide. Local bookstores and internet booksellers have a wide variety, including some specifically for your area or state. A pair of binoculars can be fun (inexpensive will do).